The Kitty Hawk-class supercarriers were an incremental improvement on the Forrestal-class vessels. The biggest differences from the Forrestals are greater length, and a different placement of elevators; two are forward of the island, one is aft of the island and another on the portside stern. The movement of the #4 elevator from the forward to the after end of the angle made it useful for aircraft movement, since the forward-end elevator was useless as it was in both the landing path and in the launch path of the #3 and #4 catapults. Three different shipyards were used to construct the ships. Kitty Hawk was built at New York Shipbuilding Corporation, Constellation at New York Naval Shipyard, America and John F. Kennedy at Newport News Shipbuilding. John F. Kennedy is similar to the earlier units in flightdeck arrangement and propulsion, but has enough differences that she is often placed in her own class. Propulsion consisted of four Westinghouse geared turbines, 280,000 shp, four shafts with eight 1,200 pounds per square inch (8,300 kPa) Foster Wheeler boilers. The first three units were constructed with a Terrier surface to air missile system. The supporting missile launchers and AN/SPG-55 radars consumed a large amount of space, while at the same time duplicating the capabilities of the air defence escorts, and were later removed. John F. Kennedy did not have Terrier and was built with the shorter ranged Sea Sparrow, Basic Point Defense Missile System (BPDMS). 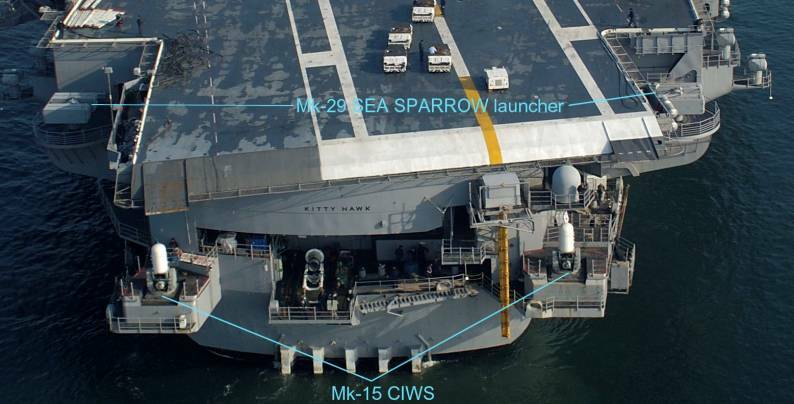 All were eventually equipped with NATO Sea Sparrow (NSSM) and Phalanx CIWS for self-defense. 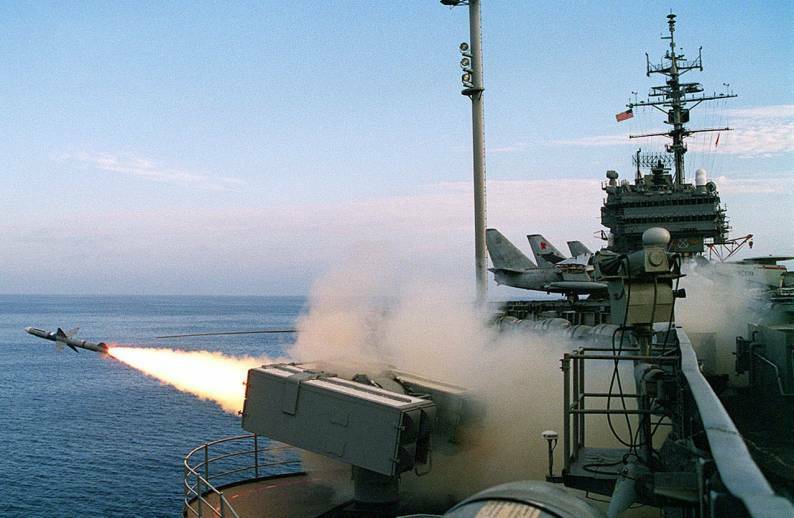 In 2001, Kitty Hawk received two Rolling Airframe Missile launchers replacing the forward Sea Sparrow and Phalanx CIWS equipment. The SLQ-32 Electronic Warfare Suite was added as part of the Service Life Extension Program (SLEP) on Kitty Hawk and Constellation. America had several differences from the lead units of the class. Instead of two forward anchors, one on each side, America had no starboard anchor and an additional anchor astern, a change made to accommodate the AN/SQS-23 sonar. 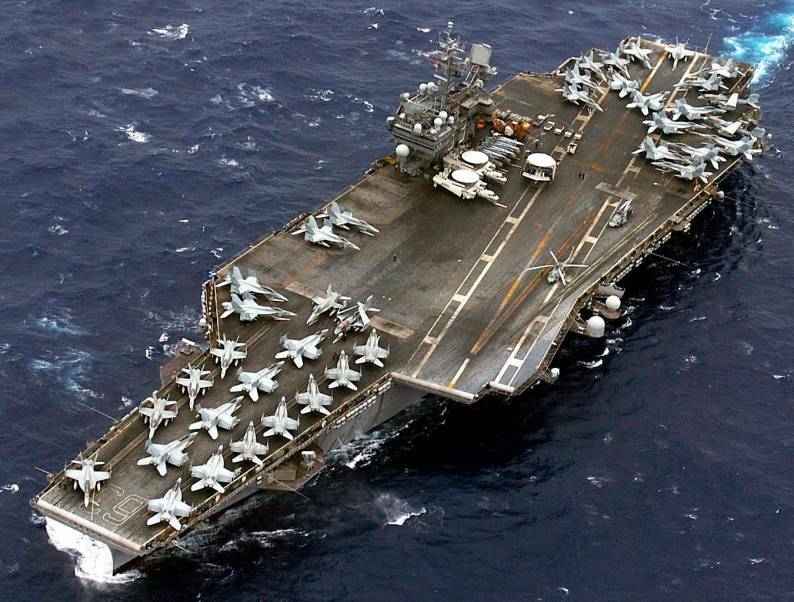 America was the only post-World War II U.S. carrier to be built with sonar, though it was removed in the early 1980s. She also had a narrow smokestack compared to prior units. 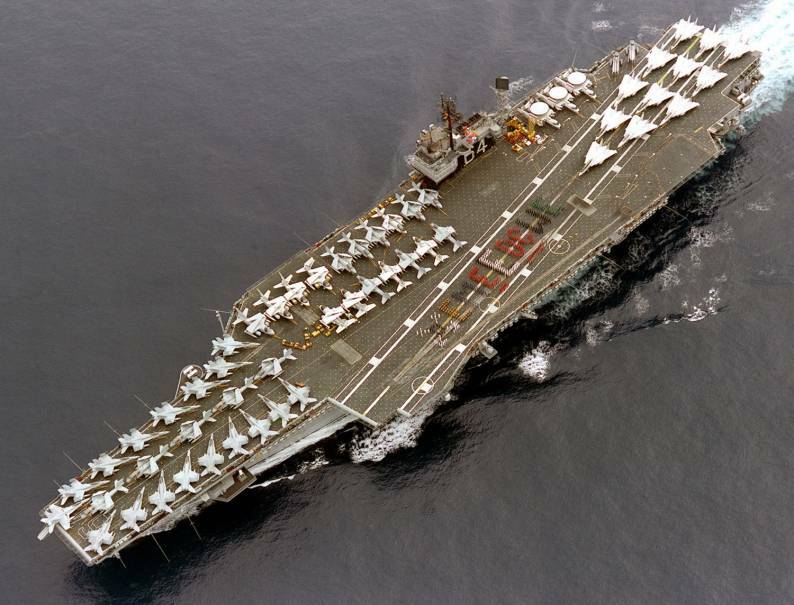 From 1987 to 1991 Kitty Hawk was overhauled for $785 million under the Service Life Extension Program (SLEP) at Philadelphia Naval Shipyard. 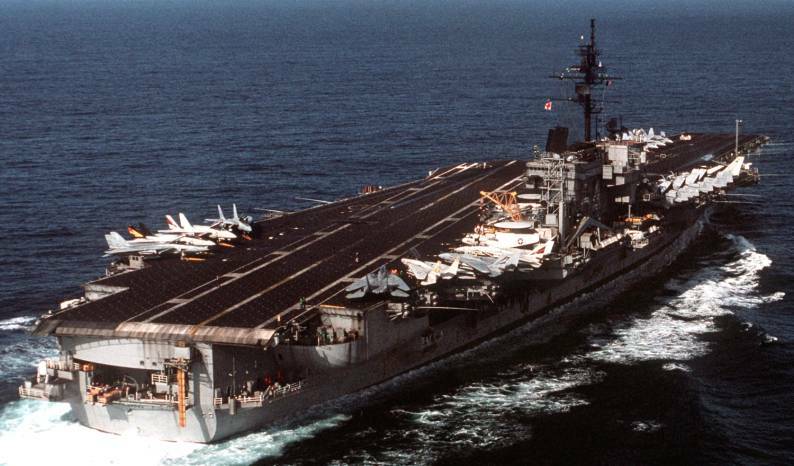 From 1990 to 1992, Constellation received her $800 million service life extension also in Philadelphia. The program was intended to add 15 years to the life of the ships. John F. Kennedy was not overhauled as part of SLEP. Instead, from 1993 to 1995, she received a $491 million overhaul. It was the final project of Philadelphia Naval Shipyard prior to its closing. 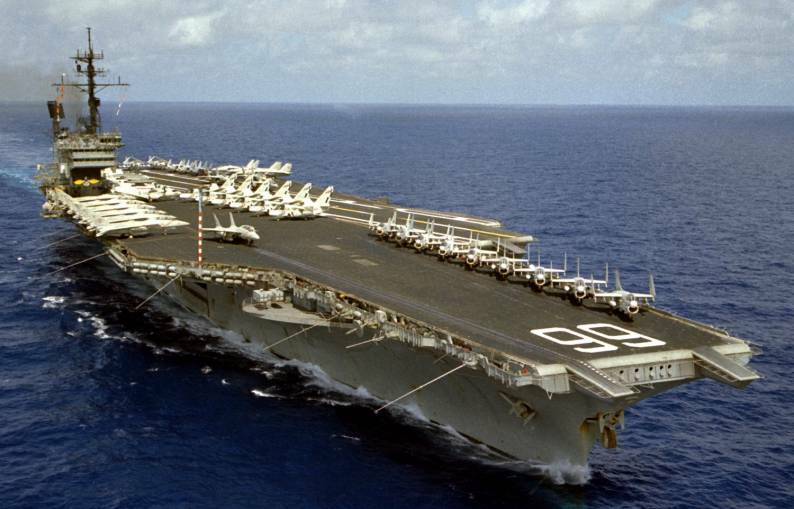 America had been scheduled to be overhauled under the service life extension program after Constellation, but she was decommissioned 9 August 1996 instead, during a time of budget cuts after the Cold War. America was in very poor condition when she was decommissioned, and therefore despite her historical significance was not held as a donation asset. She was expended as a live-fire target and sunk on 14 May 2005. Constellation was decommissioned 7 August 2003. 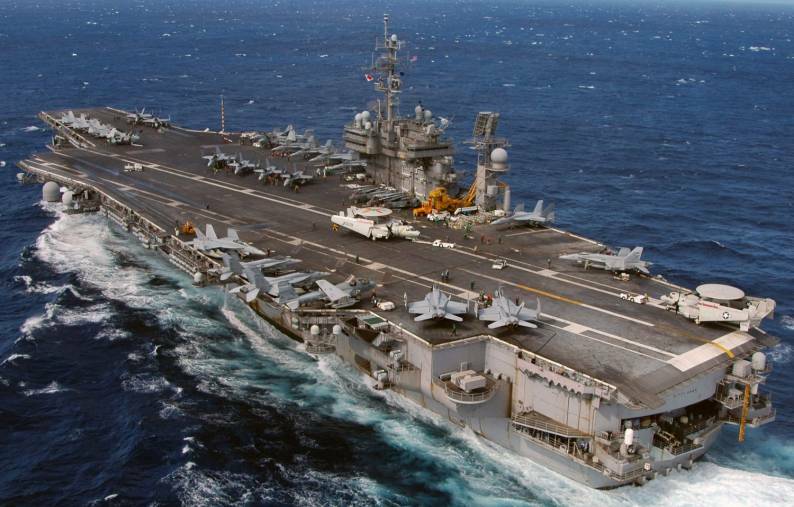 John F. Kennedy was decommissioned on 23 March 2007. 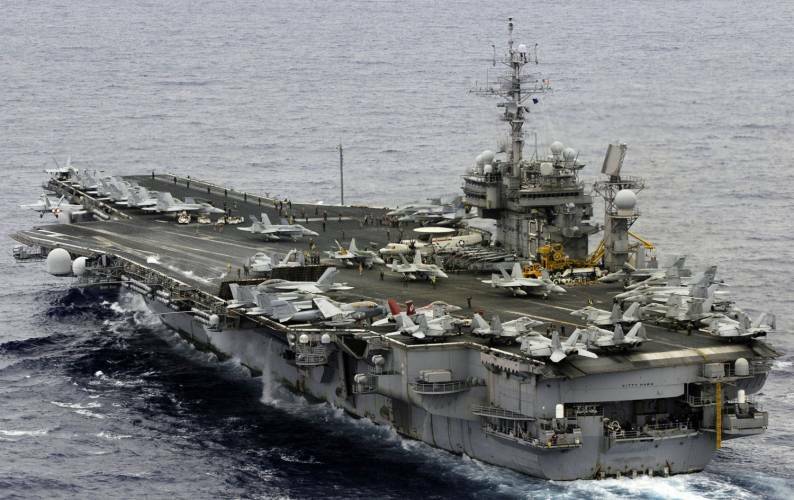 Only Kitty Hawk remained in service as of early 2008 and was replaced by USS George Washington (CVN-73) as the forward-deployed carrier in Japan. 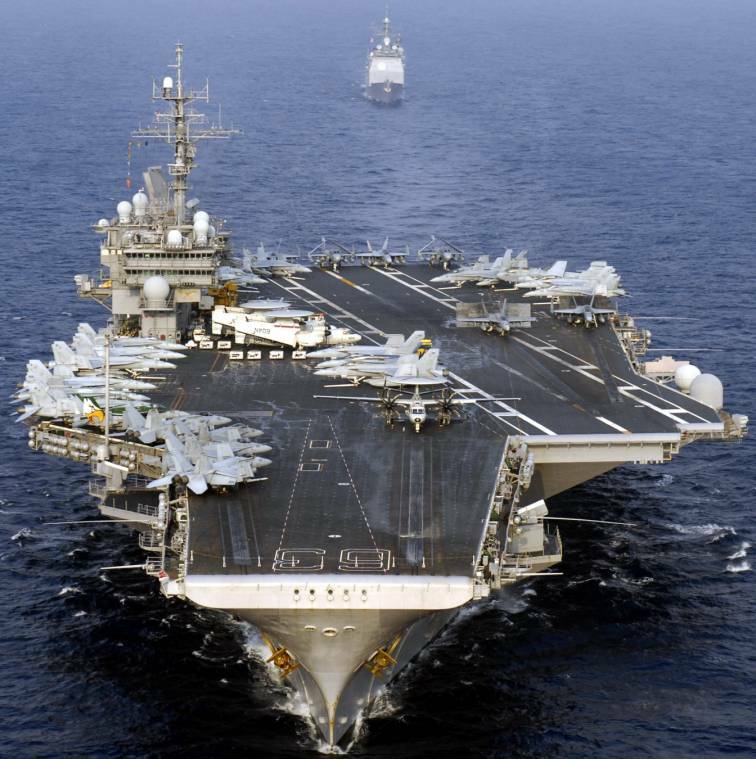 Kitty Hawk returned to the United States after the turnover. She was decommissioned on 31 January 2009.